UW-Stout's E-Learning for Educators online graduate course includes an introduction to Moodle. Level 1 training. Video tutorials for Moodle instructors. 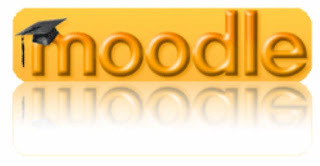 Well done screencast videos that explain how to set up various resources and activities in Moodle. Narrator has a great accent! Level 2 training. Video tutorials for Moodle instructors. Well done screencast videos that explain how to set up various resources and activities in Moodle. Narrator has a great accent! Solid group of interactive training videos for basic elements of Moodle. You have the option of downloading the entire course via zip file. It is licensed under creative commons. Hosted by MoodleCommons: This would a good resource for anyone interested in working with Moodle. The items are divided by topic. Once you find the topic that you are interested in, select the particular video that will help you from within that topic. You can also download this course for your own Moodle server. Just be sure to include the CC License and attribution with the course. This is a collection of 2 Minute Moodles - an attempt to simplify and show how to use a range of Moodle features. The list will grow as I find time to cook some more. The tutorials try not to assume too much previous knowledge and are presented for the pragmatical and not necessarily tech-savy users (Moodle purists please excuse). They are a bit like that product I got the pun from - something quick and simple to get you going. Do you know of any excellent video tutorials for Moodle? If so share them here!